Very few cities possess the charm, culture, history and contemporary flair of Barcelona. When these qualities are combined in one city, the results are spectacular. Barcelona is rich in history and art and is unparalleled in contemporary shopping, cuisine and stunning beaches. 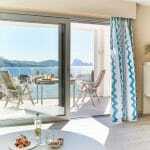 What is more, Barcelona epitomizes the heart and soul of Spain and the European continent. When you travel to Barcelona there is so many things to see and do. A great way to experience and see the sights and sounds of this great city is to hop on a sightseeing bus in Barcelona. 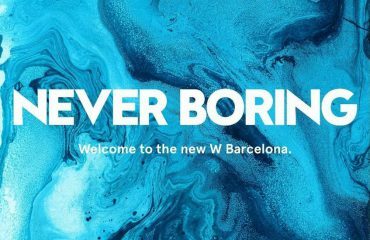 To get you excited about your Barcelona Bus Tour, we have created a list of why you should hop on board and included the places that you simply shouldn’t miss on your journey. 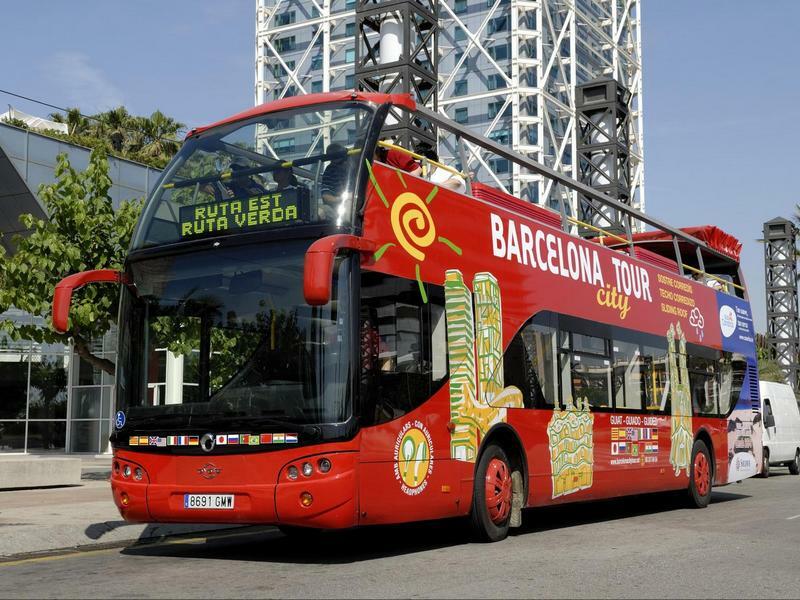 Why take a Barcelona Bus Tour? It is nigh on impossible to simply walk around and experience everything, especially given the geographical size of the city. There is just too much to see. 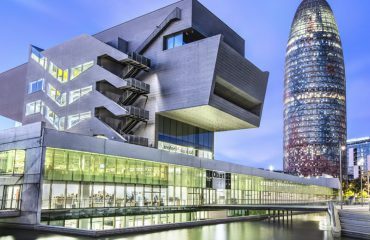 If you are only experiencing Barcelona for a couple of days, a sightseeing bus tour will ensure that you get to see as much of the city as possible without fear of missing out. You can expend a lot of energy walking around Barcelona and not only will you miss a large chunk of the city, but you may also wilt in the heat, especially in the midst of summer. Do not get me wrong, walking always has a place and is a great way to keep fit and discover the intricacies of a city. But a sightseeing bus tour will conserve your energy and show you everything you need to see and more. 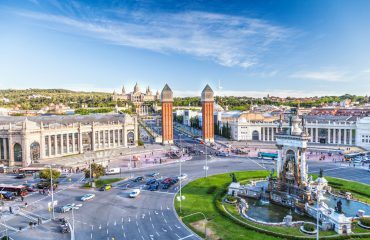 When you hop on a sightseeing bus you are immediately elevated and can experience the sights and sounds of Barcelona from a new perspective. With an unencumbered view you will see so much more of the city as you travel. Also, your sightseeing tour will be informative, with a commentary guide to help you understand the history, culture and social fabric that make Barcelona such a wondrous city. Traveling on a bus allows you to appreciate the contrasting styles of the city belonging to different periods in time. When you are on board it is easy to distinguish the quaint and beautiful streets from the bold and impressive architecture. It is easy to develop a greater appreciation for the city and understand how the culture has evolved over time to make Barcelona what it is today. When you travel on a sightseeing bus in Barcelona, you can let all your travel worries and stresses melt away and focus on the experience. If you travel on your own in a new city, it is easy to get lost and disorientated. A Barcelona tour bus reduces travel stress and lets you spend your time focusing on what is before you, rather than worrying about where you are or how to find your way back. 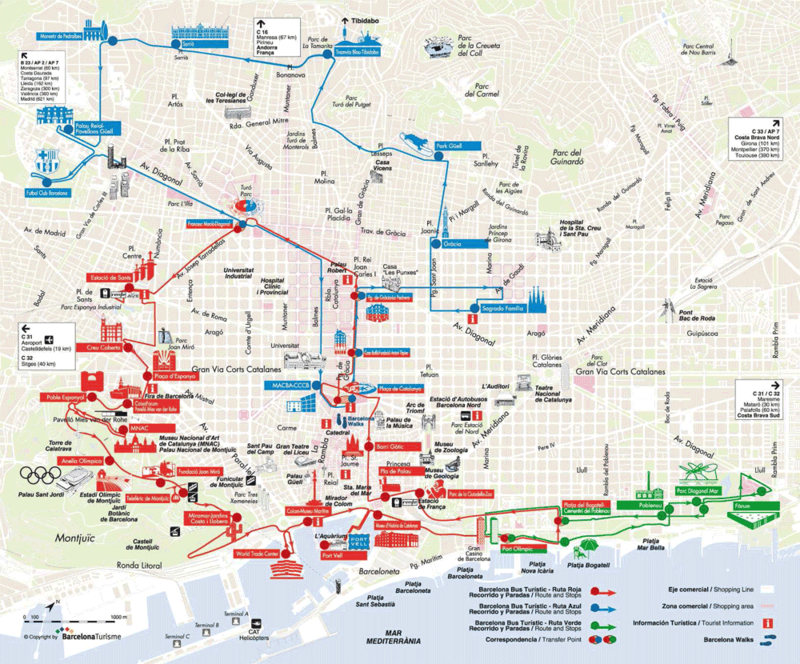 So now you are convinced to take a tourist bus in Barcelona, but you want to know more about what you are going to see? 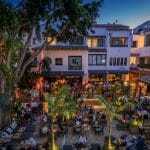 We have provided a list of top attractions in Barcelona that you will remember for a lifetime. The Basilica and Expiatory Church of the Holy Family is one of the most famous buildings in Europe. This phenomenal Roman Catholic Church features intricate, amazing Gothic architecture and an unprecedented amount of detail, design and skill that are still being worked on today. Antoni Gaudi designed the basilica, which today, is a UNESCO World Heritage Site. This is one stop on your tour of Barcelona that will take your breath away. Gothic architecture is prominent throughout Barcelona and the amazing medieval buildings are mainly found in the Gothic Quarter, the town center of old Barcelona. On your bus sightseeing tour if you are observant you may be able to locate remnants of the Roman Wall that used to surround the old town center. The Gothic Quarter holds scores of amazing structures, including the Church of Santa Maria del Pi, Church of Sant Miquel and the remains of the Temple of Augustus. The sheer historical detailing of the buildings and the obvious cultural significance of the Gothic Quarter is awe-inspiring. If La Sagrada Famillia is Gaudi’s masterpiece, then Park Guell is his largest expression of creativity as an architect and artist. Designed in the first decade of the Twentieth Century, Park Guell displays an array of Gaudi’s finest imaginative work. The use of geometry and improvisation is beautifully obvious and so spell binding for the time period, that they border on genius. Park Guell is located in the Gracia District and is a fantastic stop on any sightseeing bus in Barcelona. It is yet another UNESCO World Heritage Site and is aptly named the Works of Antoni Gaudi. Las Ramblas is the epicenter of Barcelona’s bustling tourism industry. This street is magnificently lined with trees and stretches just under a mile long and is a hub of pedestrian activity with incessantly active stalls and marketplaces lining the street. Strolling the street for the first time is a huge eye-opener and the best way to experience Las Ramblas is to let the buzz and hype of the street take you on a journey. Las Ramblas is a pedestrian‑only walkway acting as a boundary between Barri Gotic to the East and El Raval to the West. Taking the tourist bus in Barcelona will provide you with an opportunity to see and experience Las Ramblas and it all starts from the monument of Christopher Columbus at the lower end of Las Ramblas. A sightseeing bus in Barcelona is a fantastic way to experience the city, especially if you are a tourist pressed for time or prefer discovering places without stress. It will show you all the finest attractions and allow you to experience the city from a whole new perspective.